Centre Management is an innovative online application, built by Interstroom Information Technology BV in the Netherlands, founded in 1995. As a Internet service provider, we offer services such as cloud services, internet connections, voice over ip, network security and SaaS services like Centre Management. 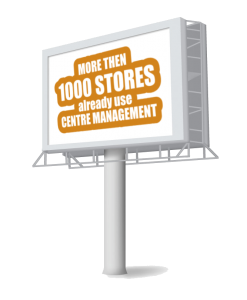 Centre Management gives you powerful insights in the real time KPI’s such as sales, footfall, contracts, units and POS. Centre Management Solutions combines many, so called big data of your centre. This gives the retail centre management the opportunity to communicate based on actual facts with the retailers and their head offices. The combination of information and pro-active management leads to an increase of the current operational income, and a higher value of the property. In the last 15 years, we have proven already in many countries such as; Switzerland, Spain, Netherlands, Sweden, Portugal and Czech Republic. Batavia Stad (Netherlands) | Rosada outlet (Netherlands) | Festivalpark (Spain) | Fashion Arena Outlet Center (Czech Republic) | Hede Fashion Outlet (Sweden) | Freeport Fashion Outlet (Portugal) and more. Freeport Lisboa Fashion Outlet live! Hede Fashion Outlet Sweden online! Festival Park Outlet Mallorca starts using! Copyright © 2019 CentreManagement.com. Powered by WordPress. Theme: Spacious by ThemeGrill.